You are currently browsing the tag archive for the ‘Franz Liszt’ tag. 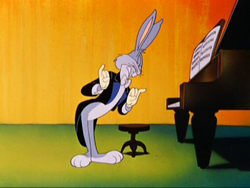 A very deft Bugs Bunny plays Franz Liszt’s second Hungarian rhapsody on a piano. 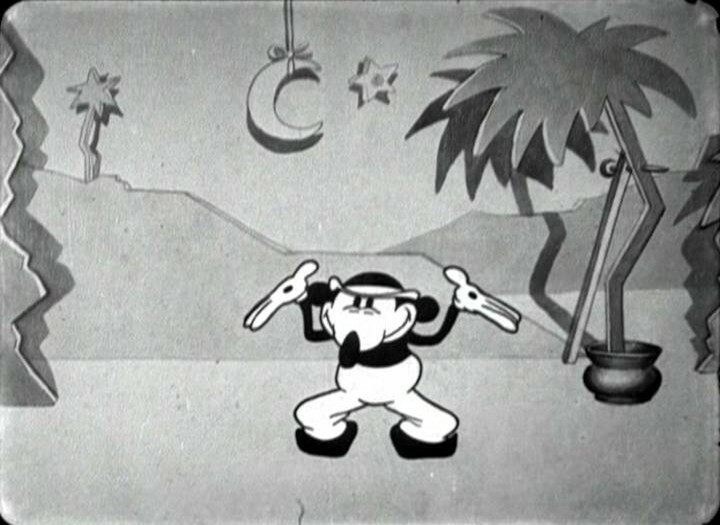 This classical piece was director Friz Freleng’s all-time favorite, and it appears in several of his films. In ‘Rhapsody Rabbit’ it is played out full. The cartoon consists of spot gags and it has a small story about Bugs having problems with a mouse. This story element is not well-developed and dropped halfway the cartoon, only to return at the end. 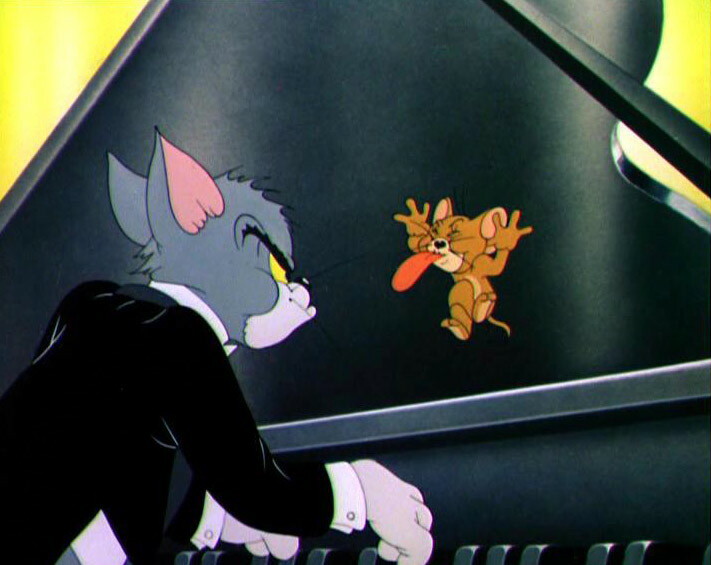 The idea of a battle between the pianist and a mouse was perfected by Hanna & Barbera only five months later in their Tom & Jerry cartoon ‘The Cat Concerto‘, which has exactly the same subject, and which uses exactly the same music by Liszt. Unlike Freleng however, the duo swept the Oscar… There seems to be something fishy about this fact, which is analyzed in detail by Thad Komorowski in his excellent blogpost on the issue. Compared to the latter cartoon, ‘Rhapsody Rabbit’ is less consistent, but more absurd. The gag in which the mouse makes Bugs play an infectious boogie-woogie may be the highlight of the film.